When visiting Rome, anyone will tell you that one of the 'must see' spots is the iconic Colosseum as it is the most visited monument in Italy. 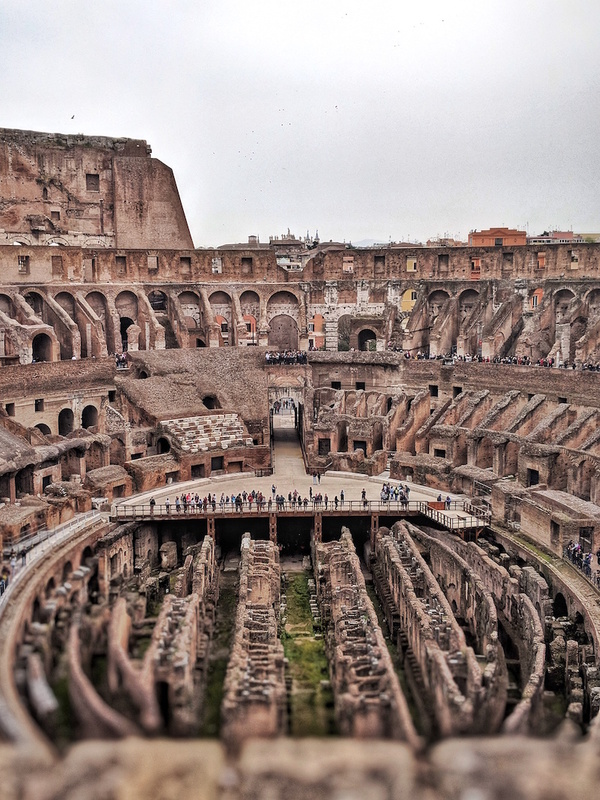 Also known as the Colosseo or the Flavian Amphitheatre, the oval amphitheatre dates all the way back to 70 - 80 AD and is well-known for hosting brutal and bloody games back in the ancient Roman era. The amphitheatre, which is the largest in the world, had 80 entrances and could seat 50,000 spectators. Nowadays it attracts over 4 million tourists from across the world every single year and once you've seen it, it's not hard to see why so many people pilgrimage from over the world to see it in person. Whilst you can purchase a general entry pass on the day, we took a guided tour with The Roman Guy to explore the Colosseum. The queues for entry to the Colosseum on the day are notoriously long and stretch around the amphitheatre for a couple of hours. The Colosseum only allows up to 3,000 people inside at any one time so it regularly pauses entry throughout the day until it empties otu again, which can lead to lengthy queuing times and no one wants to waste their holiday in a queue, do they? Booking our tour with the Colosseum with The Roman Guy meant that we could skip the queue and pretty much stroll right on into the Colosseum (after a security check) with our guide leading the way. We met our guide, Gaia, outside of the Colosseo metro station, which is literally opposite the Colosseum itself. The Roman Guy offer guided tours with a difference as they select only the best guides who are natural storytellers and passionate about Italy and its rich history. They aim to create a totally unique and exclusive experiences throughout their tours by adding certain elements that you wouldn't necessarily find on other tours. 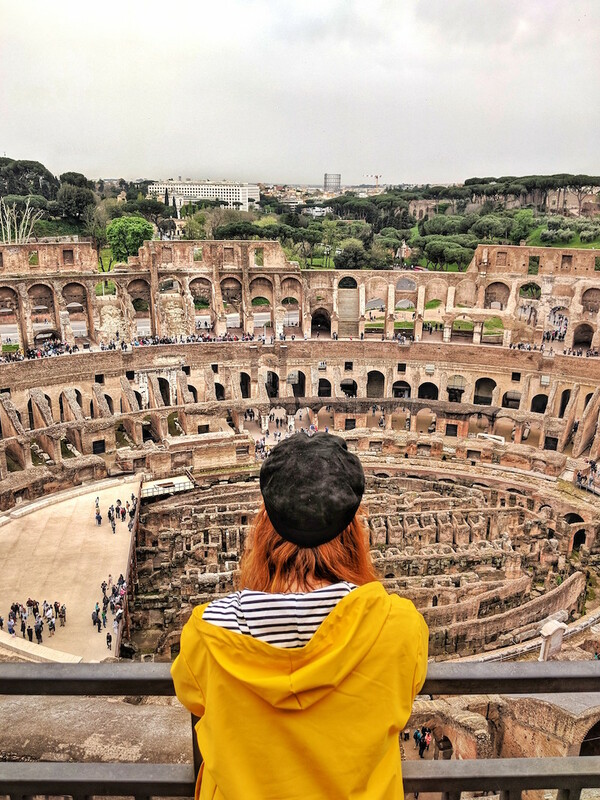 For our particular tour, we were taken to the very top tier and highest point of the Colosseum, which is usually restricted from the general public! 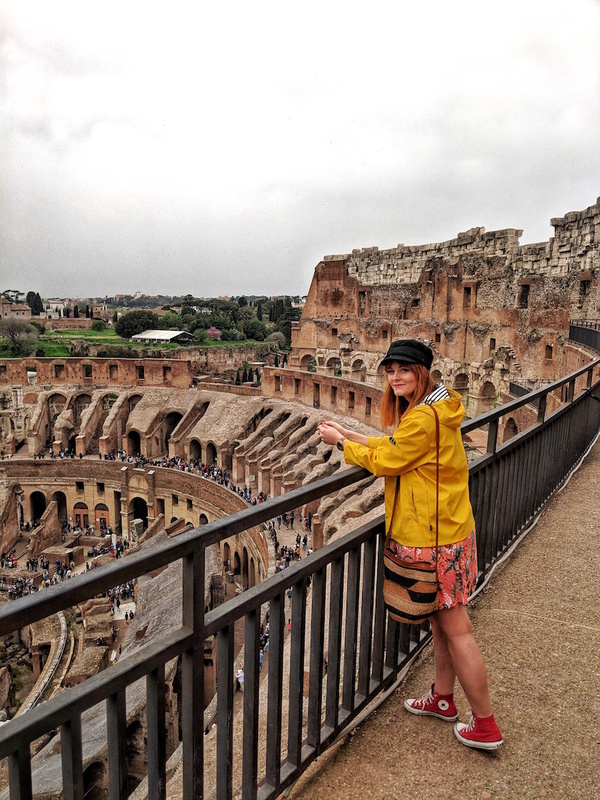 They also offer an underground tour of the Colosseum so that you can explore beneath the arena where the animals and gladiators would await their fate and even an after hours evening tour to experience the Colosseum beneath the moonlight. There was only one other guy in our booked tour that day, which definitely made the experience all the more personal but the tour itself will only ever have a maximum group size of 15 people. After a thorough introduction to the Colosseum's history from Gaia (e.g. did you know that the Colosseum used to be covered in marble but it was all stolen and re-used in other buildings across the city?) we met our official Colosseum guide who led us through the crowds on the lower public access levels and through a locked gate so that we could make our journey up to the top tier of the Colosseum. Around half way up we stopped to admire the view of Palatine Hill and the Arc of Constantino (pictured above). It was from here that we could see the lengthy queue winding around the outside of the Colosseum and felt thankful that we didn't have to tackle that queue. After around 15 or 20 minutes waiting whilst the group ahead of us enjoyed the top tier, it was our turn to climb the final few flights of stairs to the very top tier. It's worth mentioning that there are a lot of stairs to climb on this particular tour so it sadly isn't accessible for all due to the age and structure of the building. 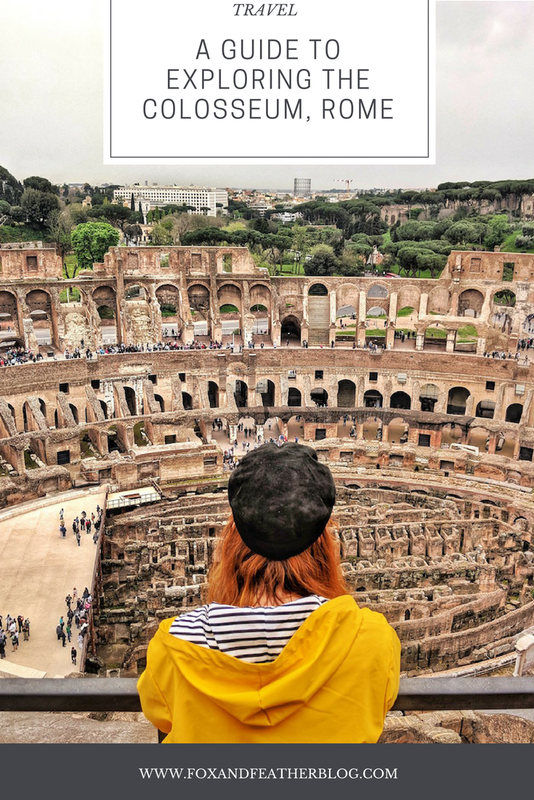 However if you do have doubts regarding mobility, The Roman Guy do recommend getting in touch and booking one of their private tours to explore the Colosseum instead. We were incredibly lucky that our tour group was so small because we had the entire top tier platform to ourselves for around 20 - 25 minutes. Back in the day, the top tiers were reserved for the poorest whilst the wealthier were granted access to the lower tiers that were closer to the action on the ground. However, there's no denying that the top tier offers the best view across the entire amphitheatre so it's kinda ironic that it was where the poorest citizens were shepherded to. 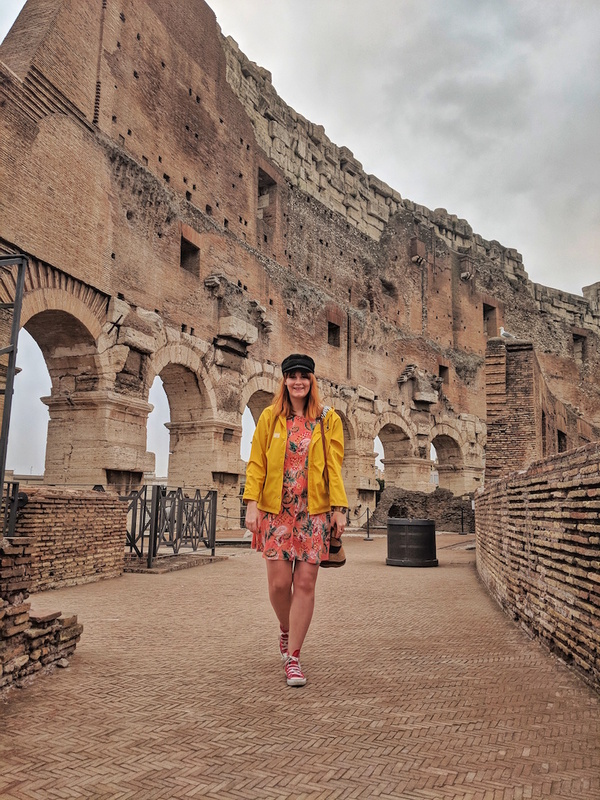 The top tier access tour is definitely one for those who want to snap the best photos of the Colosseum in all its glory and experience it from a different view point from the rest of the public. The Colosseum really is spectacular on its own but being able to gaze down upon it in awe from the highest level without the crowds was truly the best way to experience it in all its glory. After making our way back down to the lower levels our tour with The Roman Guy came to an end. Gaia gave us the option to explore the lower levels of the Colosseum on our own or guide us over to the entrance for the Roman Forum. Our Colosseum passes also granted us 'skip the line' access to Palatine Hill and the Roman Forum too. 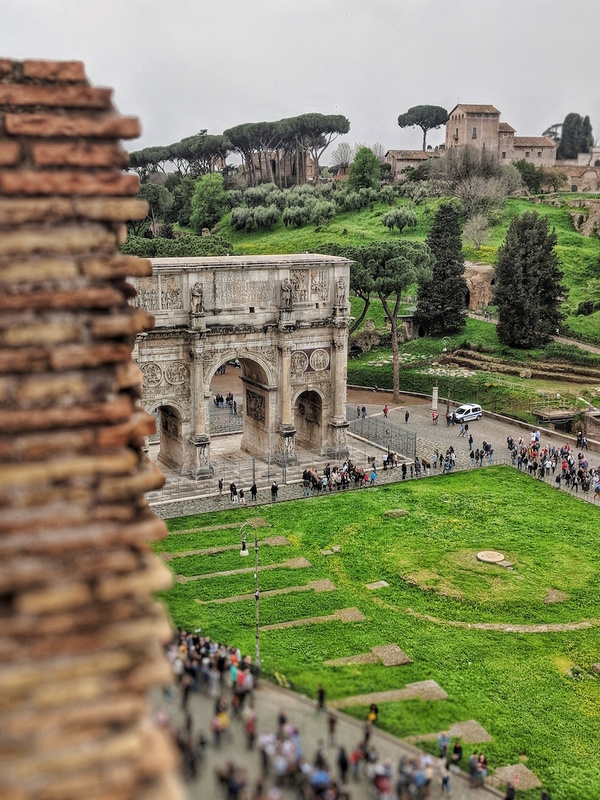 We decided to spend a little longer in the Colosseum and to take in the views from the lower levels, so we said our goodbyes to Gaia and the other traveller in our group before walking the rest of the Colosseum on our own. However, despite still being magnificent, the lower level views just did not compare to the top level. It's worth mentioning that The Roman Guy do offer guided tours that include both the Colosseum and the Roman Forum but our particular one didn't. However, we still decided to check out the Roman Forum and Palatine Hill after a spot of lunch (you can find my Vegan Food Guide To Rome here) and skipped the line with our passes from The Roman Guy. We then climbed Palantine Hill at our own pace to admire the views over the ruins of the Forum and the city in the distance. 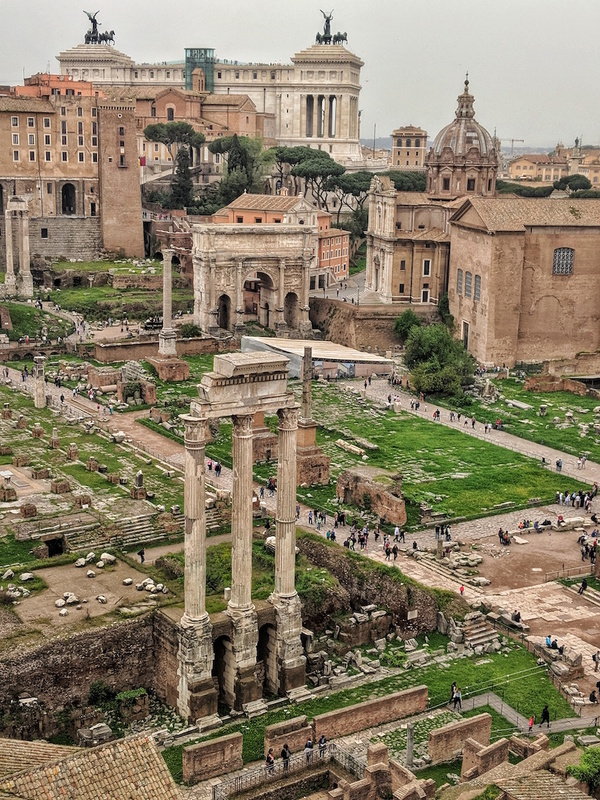 The Forum is an incredible glimpse into the life and structure of ancient Rome as the it once served as the centre of day-to-day life in Rome as it was home to several important government buildings in ancient times. 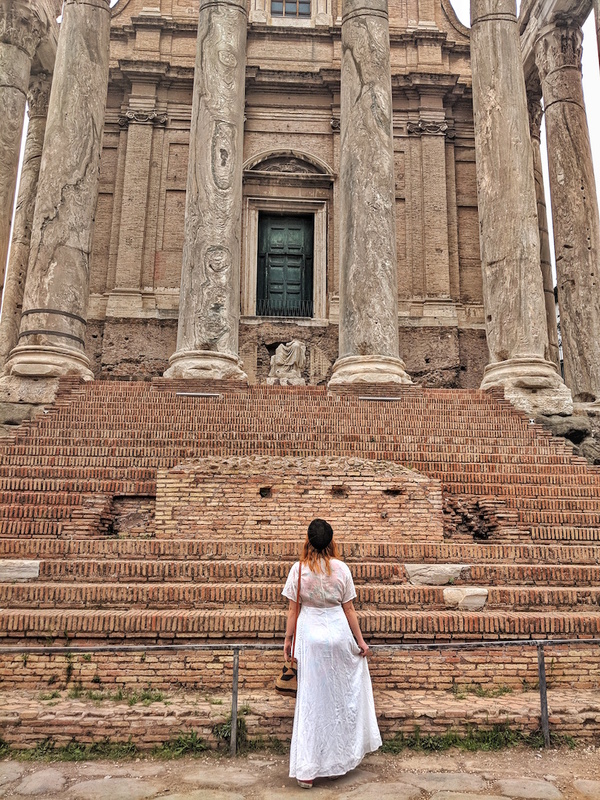 The ancient ruins are so well-preserved that it really does transport you back in time and it feels like a privilege to be able to walk amongst them. Colosseum tours with The Roman Guy start from €54 per person and can be booked via their website here. Disclaimer: We were invited on a complimentary tour with The Roman Guy but all words are honest and my own. Oh wow your pictures are stunning. Rome looks beautiful and is definitely a place I hope to visit one day. Oh wow that looks absolutely breathtaking! Rome is one beautiful place and I think it's awesome to take that tour because you don't have to worry about the lines. The colosseum is incredible, definitely breathtaking! The same goes for the Roman Forum and the Palatine Hill. I'm never usually one for a tour but for somewhere with lines as long as in Rome, it's absolutely worth it and it's so nice to have a local guide you around. The Roman Guy offer the night tour too and I was tempted by that as I can imagine it is beautiful lit up in the starlight! That sounds like a great tour! I do love taking tours like this, especially when you luck out and it is as personal as the one you had! Such a beautiful place to visit!